Nigerians are still celebrating the legislator, Hon. 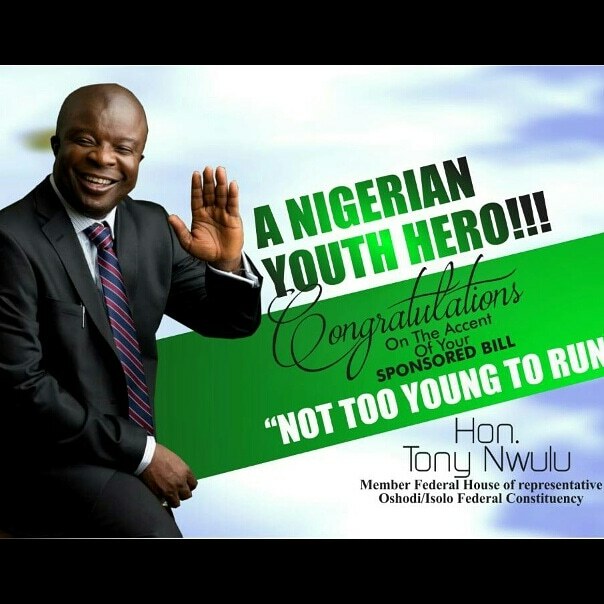 Tony Nwulu who proposed the #nottooyoungtorunbill and it's such a heart warming gratitude. We are concerned though, since he is in the Imo Guber race now, do you think that goodwill will get him into government house in 2019? The faction of the Young Nigerian Presidential Aspirants from various political parties tonight decided to collaborate and forged a united front to win the seat in 2019. I, Kunle Lawal The FCT Senatorial Candidate of the Alliance for New Nigeria for The Love of the Capital and My Country would make this Service Pact to you, My Constituents of Abuja. This year’s African Women in Leadership Conference organized by African Women in Leadership Organisation (AWLO) is set to mark the 10th Anniversary of the organization.